Commercial Landscaping INC. formerly known as Rick's Yard Service has built a reputation over the last 25+ years on reliability and service. 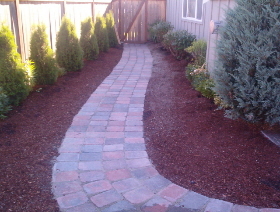 We are a residential & commercial landscaper that strives to make every customer a happy customer. CALL FOR YOUR FREE ESTIMATE TODAY!! Installation of NEW Lawns. Lawn care maintenance. Using the Diamond cut to give your lawn a groomed appearance. To give your lawn that sharp detailed look. To ensure a plush full looking lawn all year long. To give that fresh look in your garden. To give your yard that sharply maintained look. For a healthy crisp looking lawn. To allow your yard to breath. © 2015 Commercial Landscaping, Inc. All Rights Reserved.